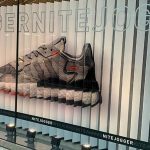 Now there’s a unique and exciting way to get down to detail and distinctly display your brand with intricate custom cut, edge-lit, acrylic shapes. 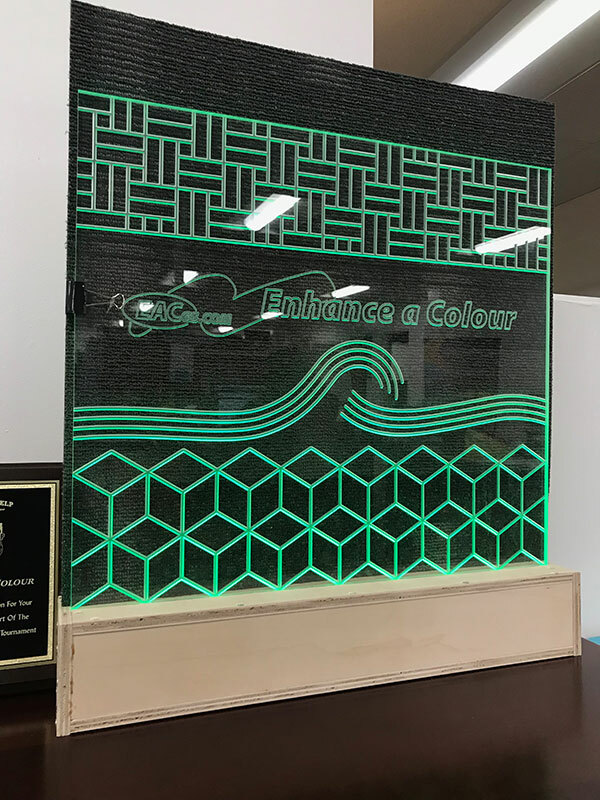 Our Laser Jet can cut acrylic with precision into any shape you can envision. Depending on the need, we can use colored acrylic or print any color imaginable onto clear material. Our Laser Jet can cut acrylic 60 inches wide by 120 inches long, and up to one inch thick. The edges are polished during the precision cutting process to provide a smooth finish. 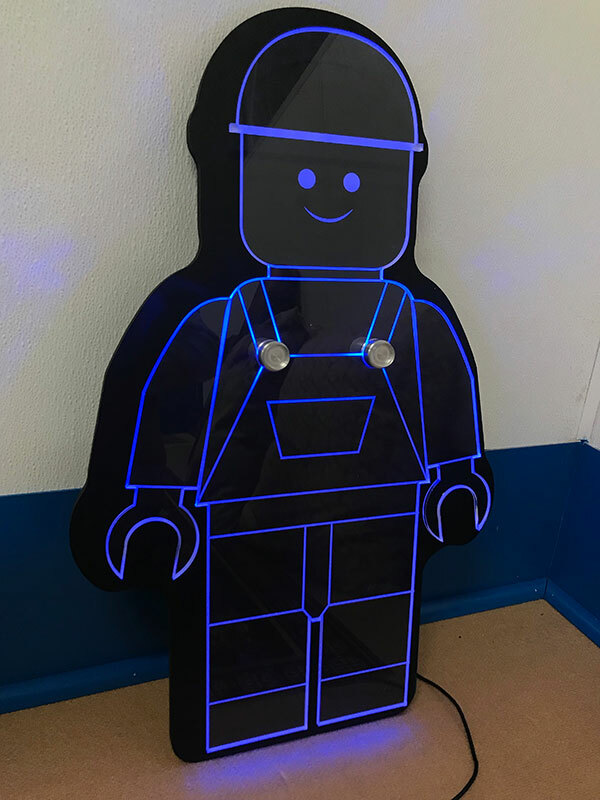 These custom displays are the perfect replacement for neon signs that cost a fortune in electricity. Led lights will last five times longer than traditional light bulbs and will use 75% less energy. Change the color of the LED bulbs and you also change the color of the display. Basic colors are available white, blue, red, green, yellow or a combination of all. Lights can be steady or intermittent. Let us help you create your very special application and bring it to life. No matter what shape and design you need, we can create the item with detail and precision unseen before. 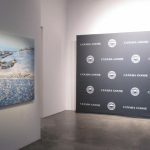 The new technology works wonders for memorable logo displays, customized plaques and signs, or just a unique eye catching art piece. 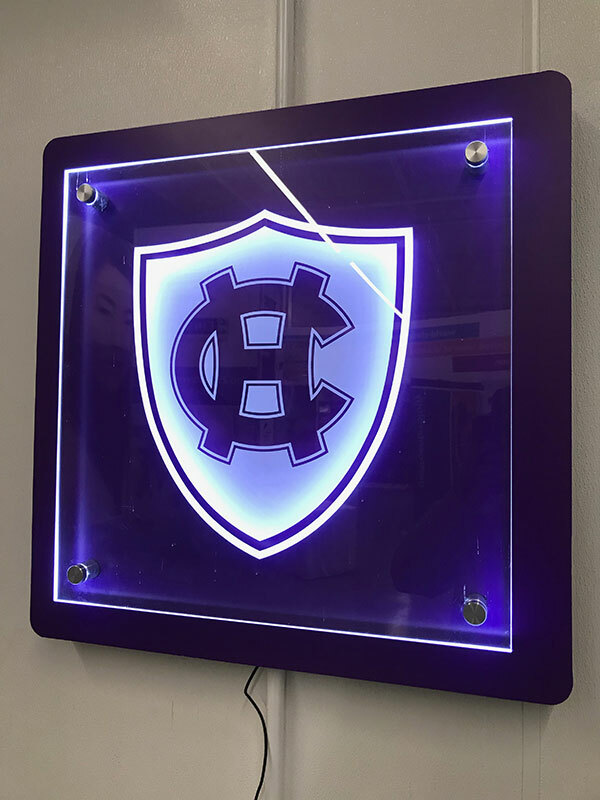 The acrylic can be printed or etched to your specifications, cut to any size, custom finished, and presented on a countertop as a standing unit or wall mounted. With this newest innovation, you really can be a cut above the rest. Since the light travels parallel with the acrylic or glass surface, the quality of the material is very important. A shiny, smooth edge will actually reflect some of the light away, while an etched edge will transmit it more efficiently. When the face of the acrylic is etched or engraved, the beam will be interrupted and the edges of the engraved area will glow brightly.